Photographs and text by AHN Jun. Essay by Nathalie Boseul Shin. Designed by Yoshihisa Tanaka. Case Publishing, Tokyo, Japan, 2018. In English. 128 pp., color illustrations, 9¾x12¾". One Life is the latest publication by Seoul-based Korean artist Ahn Jun, consisting of 88 photographs taken between 2013 and 2018 in Seoul, Japan, Turkey, the United Arab Emirates, Ireland and other regions of the world. In the photographs, Ahn captures apples suspended in mid-air, using a high shutter speed. 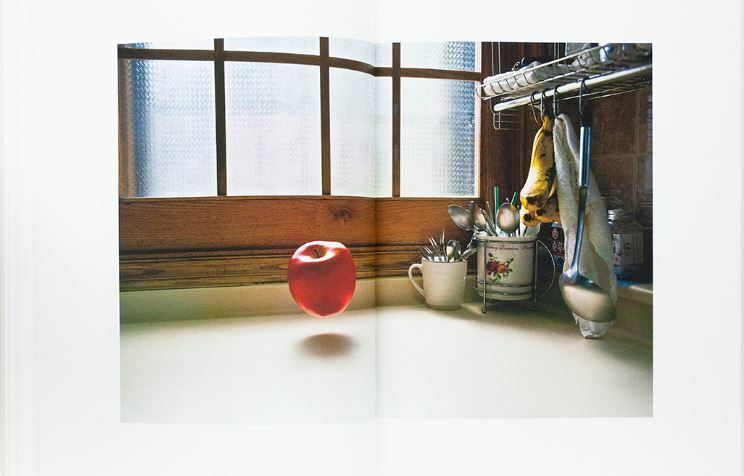 During the editing process, Ahn selected images which suggested the apples were simply floating in air, as if revolting against both gravity and fate itself, and thereby tries to expose the transcendence of moments from which all context had been stripped. With her photographs, Ahn gives shape to a peculiar metaphor of her view on life and death (life as process towards death) which had developed in her following the death of her grandfather. 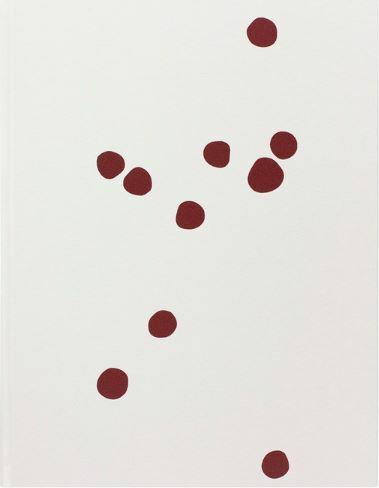 The photobook was designed by Yoshihisa Tanaka, art director of the Tokyo Art Book Fair and Takeo Paper Show. Paper with a slight yellow tint surrounds Ahn’s images, in order to express subtly the change of a paper’s color over time. The design of the book follows the artist’s view on the world, accentuating the “memento mori” stance towards life expressed in her images which—while fantasy—penetrate deep into reality. The book is concluded by a statement from the artist herself as well as an essay by Total Museum of Contemporary Art chief curator Nathalie Boseul Shin (both in English). In addition to the standard edition, One Life will also be published as a special edition cloth boxed set with an original print. Limited Edition of 100 signed and numbered copies with a an original, matted Lambda print enclosed with the book in a cloth-covered clamshell box. Image 5½ × 8½ inches; paper 9 × 9¾ inches. Clamshell measures 10½ × 13½ × 1½ inches.